Jill Hawkins, director of Aniseed PR, says treat speakers well and your show will reap the rewards. An education programme, conference or content – whatever you like to call it – is now a regular inclusion in all B2B exhibitions. The free education sessions are designed to entice visitors to register and attend; working on the principle that most of us want to better ourselves and learn something new, but acknowledging the fact that few companies have the budget for training. The education is often a crucial element of the show’s marketing, with organisers citing the sessions as a show highlight and a key reason to attend. The show/speaker relationship is a mutually beneficial, almost symbiotic one. The speaker wants the exposure that the show can offer, and the show sees the speaker’s knowledge as a key visitor attraction. This relationship should be nurtured carefully with both parties aware of the responsibilities each one has. So with this in mind, why do most organisers leave it so late in the day to book their speakers, and then don’t properly engage them in the promotional and marketing process? The education is often an afterthought, pulled together in the last few months before the event. I realise that the content has to be relevant and up to date, but how much really changes in any industry in six months? Organisers need to put proper emphasis on the education programme much earlier in the event cycle. The earlier it is decided, the more that can be done to promote it. The content can be fed to the audience over a longer lead time – rather than in a frantic flurry in the month before. Features can be planned in with the relevant trade press and spread out over the three months’ build up to a show – rather than just concentrated in one preview in the month before. Most shows open registration early, so speaker content should be available as near to this as possible. I’m not advocating announcing all of your speakers six months before your show opens, but once you have the education programme confirmed, you can comfortably and carefully create a strategy, decide exactly how to drip feed the news to your audience and meet with and fully engage your media partners. Having your education programme confirmed earlier also means that your speakers have more time to get on board and help too. Speakers are chosen for their knowledge of a subject, so that knowledge should be exploited as much as possible. This knowledge should be packaged up in the way of blogs, profiles, Q&A pieces and key takeaway points – both written and in video form – and then shared with potential visitors in the run up to the event. I have several clients who I promote as speakers and we always offer these things to organisers. To say that they bite my hand off is an understatement. Organisers should also ask to tap into the speaker’s own network; providing them with the tools they need to promote their sessions to their own audiences. Many exhibitions give exhibitors the tools to do this (such as customisable email footers, hash tags etc.) so this approach should be expanded to speakers too. For one show I’ve worked with, we created a ‘Speaker Charter’ – a well thought out and beautifully designed document that was employed from the beginning of the speaker selection process. It set out exactly what the show organisers required from each speaker, and also what each speaker could expect from the show team. The usual requirements were there – such as ‘head shot, bio, 50-word session description’ but also the need for a short blog and a 30-second video. We also set out guidance of how to construct and write a blog, and how that the session wasn’t a platform for self promotion (but that’s a whole new subject for another article). It wasn’t a one-way street; in return the show promised to promote the content via the press, marketing and social media. They provided personalised printed postcards to each speaker (old school, but great for the speaker to hand out at other events), personalised digital images for the speaker to share on social media and of course customised email footers. We expected each speaker to engage fully with the show and to work with the marketing and PR team. 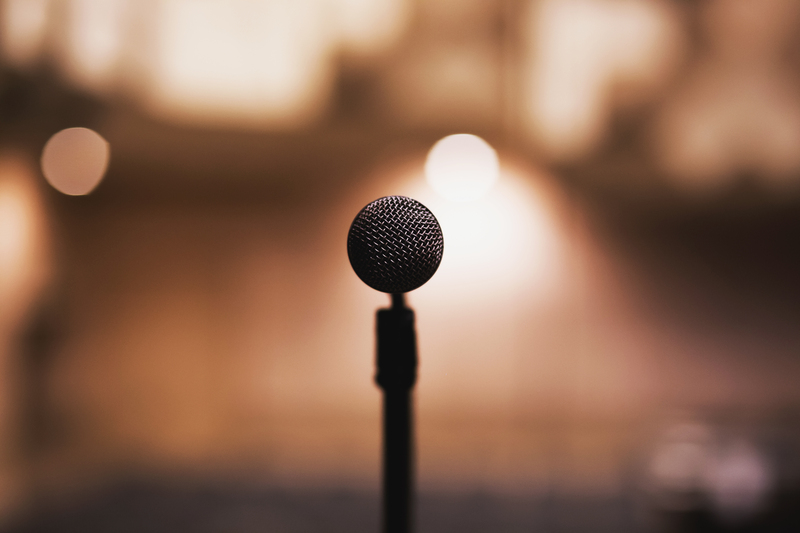 Conversations were had with each speaker to encourage them to help promote their session – emphasising that it would be in everyone’s best interest if their session was full. Every speaker I spoke to was enthusiastic and willing to help, they were grateful to be asked and could fully see the potential benefits to them and their session. Your speakers are an essential asset – so treat them as such. Get them on board early, get them engaged, and give them the tools they need to help you promote them.